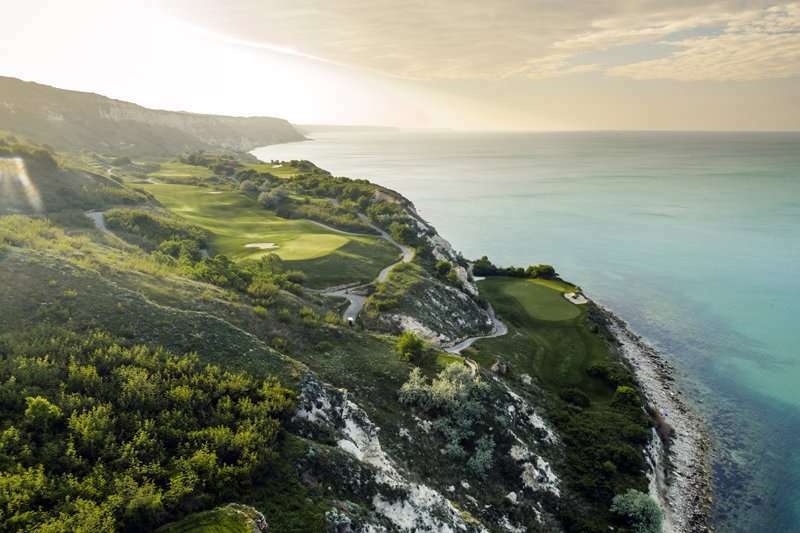 The stunning Thracian Cliffs golf course designed by Gary Player and running alongside the BlackSea coastline is the centre piece here at the Thracian Cliffs Golf & Beach Resort. 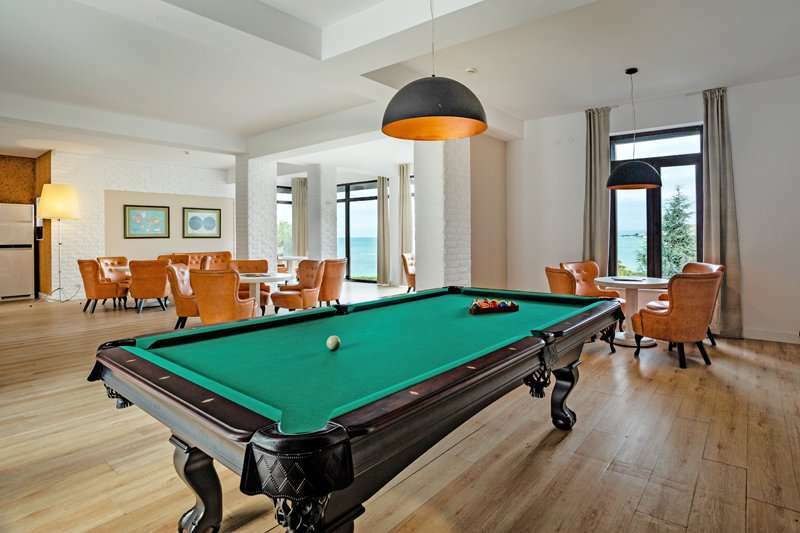 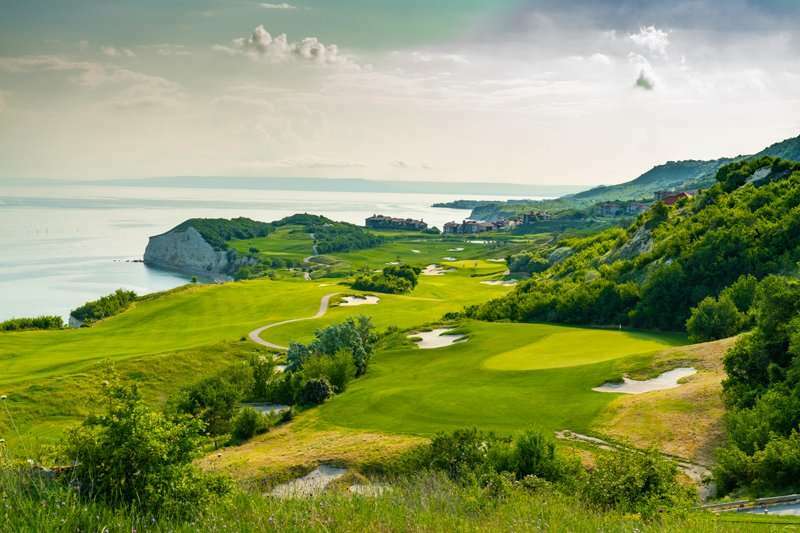 Situated a short drive from the town of Balchik, you simply must experience this stunning resort and golf course. 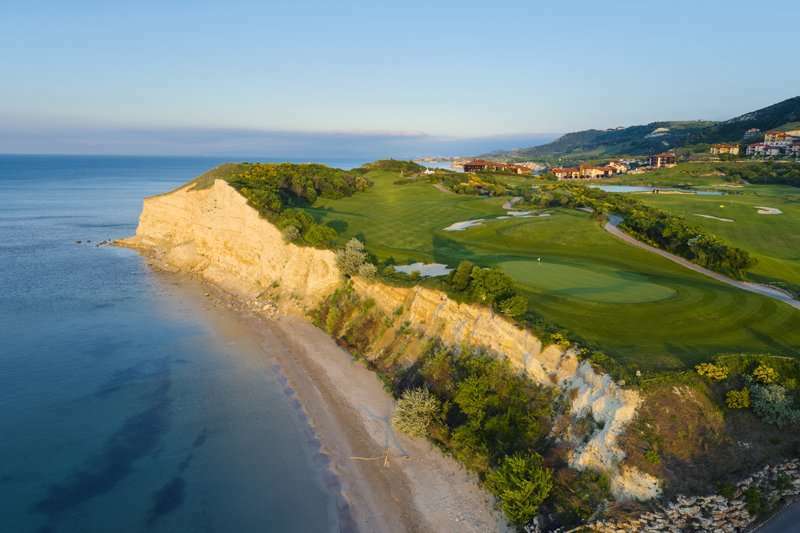 The beautiful Thracian Cliffs golf course designed by Gary Player, running alongside the BlackSea coastline is the centre piece here at the Thracian Cliffs Golf & Beach Resort. 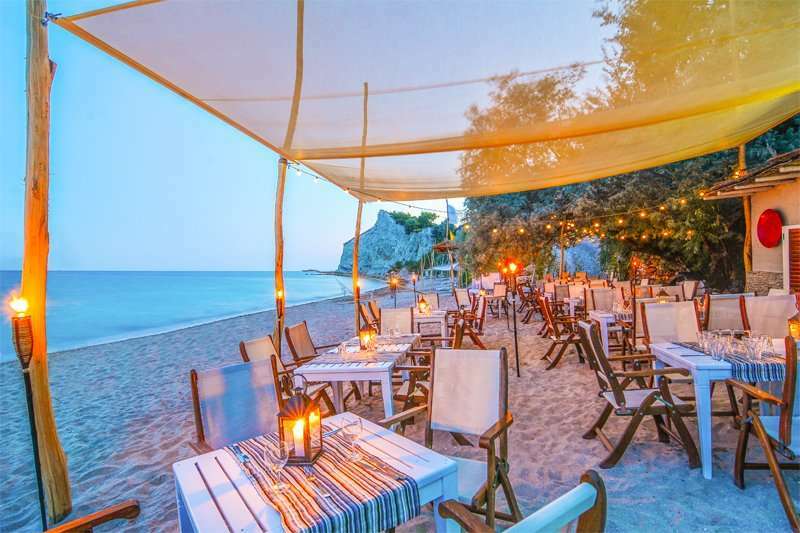 Away from crowds, congestion and noise, the resort is perfect for a relaxing getaway with access to two private beaches, Bendida and Argata, with crystal clear waters, golden sands and each featuring their own bar and restaurant serving superb food all within the most breath-taking scenery. 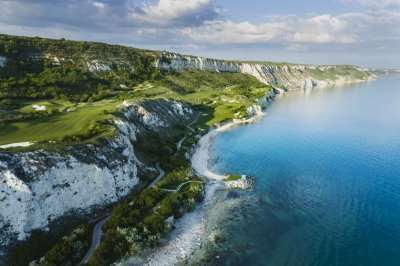 Popular activities on these beaches include windsurfing and diving. 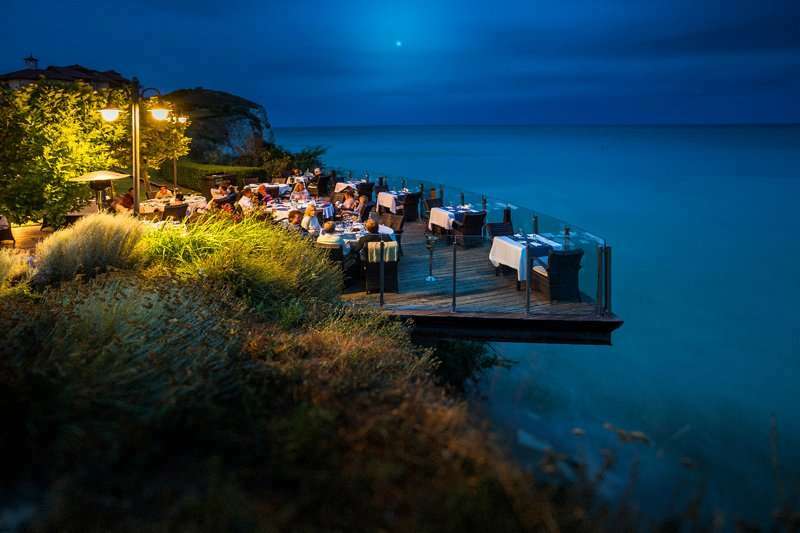 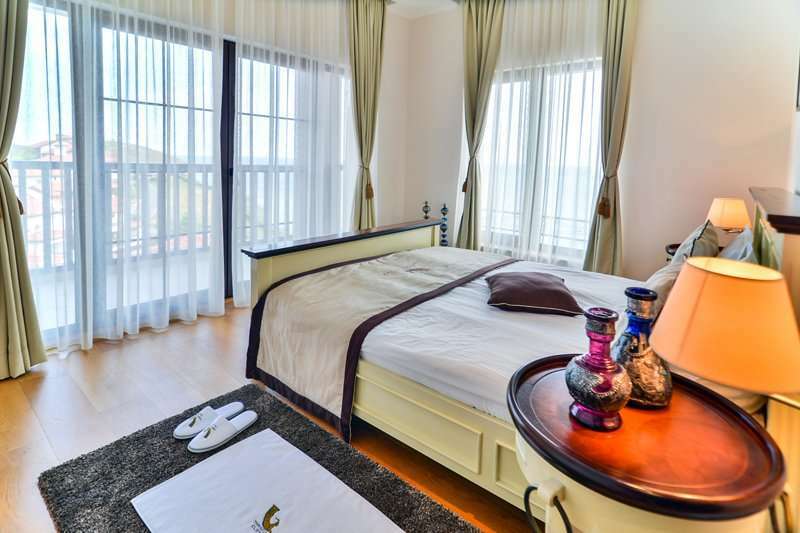 The Thracian Cliffs Resort prides itself in its extensive spa services it has on offer. These include a hot steam room, and ice corner and a Jacuzzi. 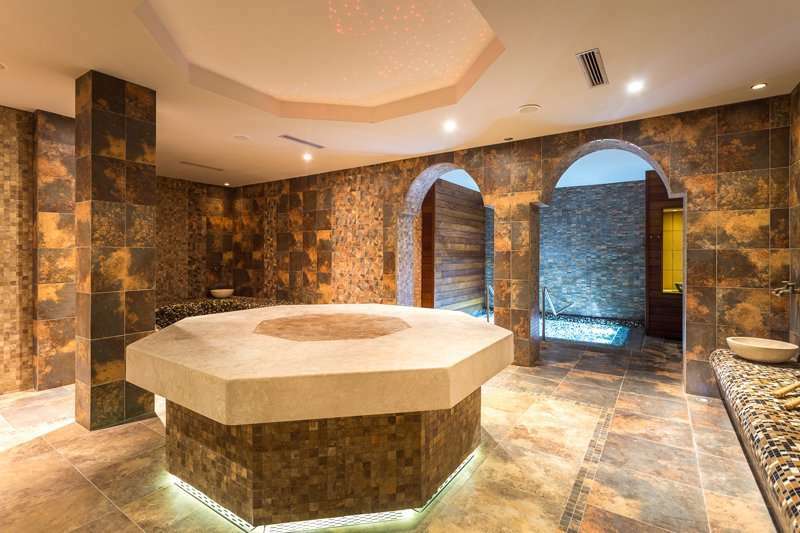 The hotel has dedicated itself to providing their guests with the most luxurious spa experience with 460sqm of tranquillity areas and treatment rooms. 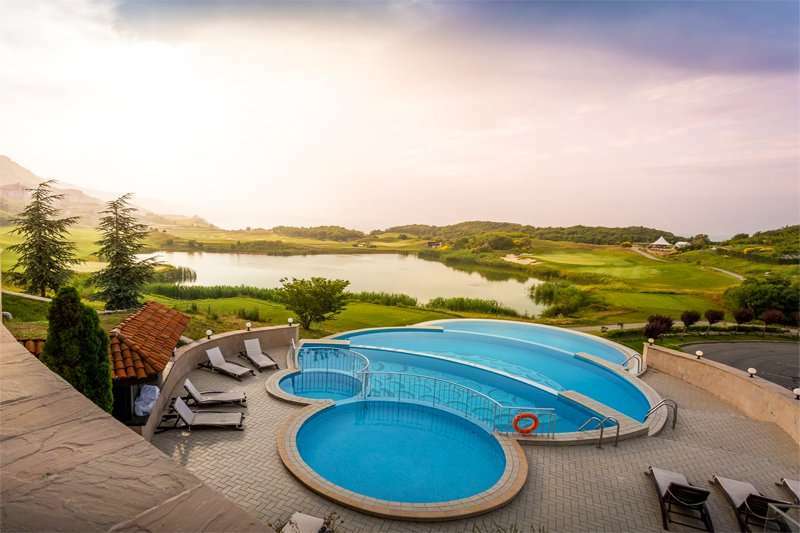 An outdoor infinity pool is also offered to guests to further aid them in unwinding. 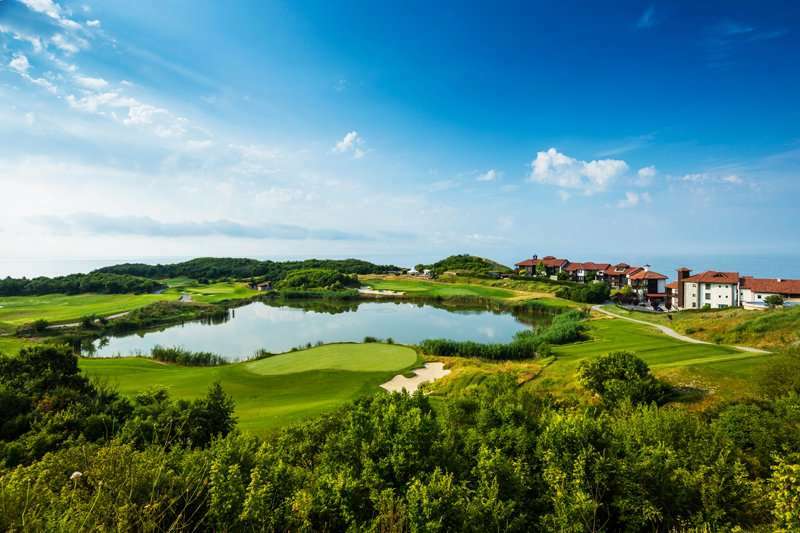 The accommodation is divided into two quiet and tranquil villages, Marina and Hillside, set overlooking the dramatic Gary Player Design signature golf course, offering modern and stylish suites featuring spacious living areas, kitchenette, mini bar and a balcony or terrace with spectacular views. 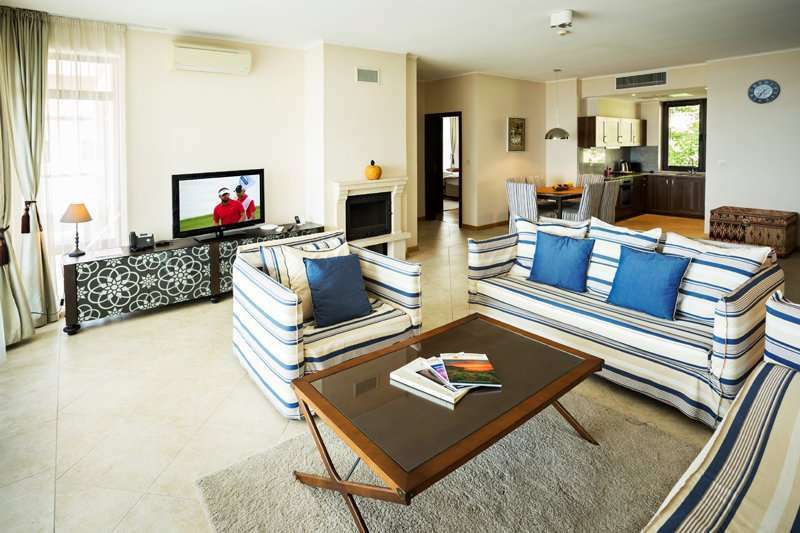 The Marina village is located on the cliffs, where you will find 64 deluxe, spacious and convenient suites whilst the Hillside Village is suspended 350 metres above the sea with 87 suites placed in a crescent shape around three infinity pools. 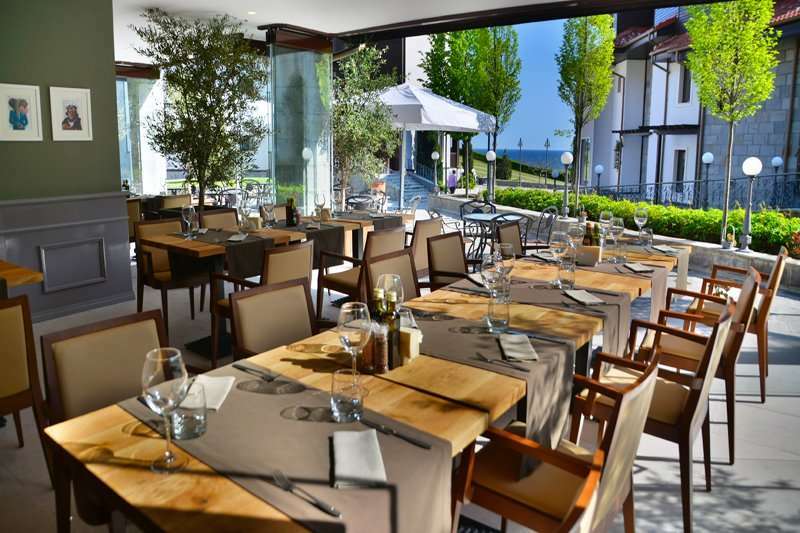 The Thracian Resort offers an impressive five restaurants for its guests to choose from in a wide variety in cuisines but the high level of quality and service remains consistent. 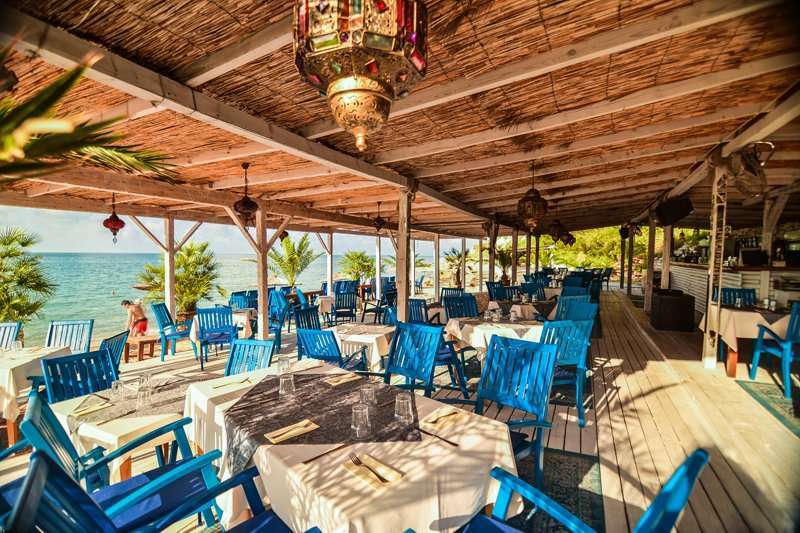 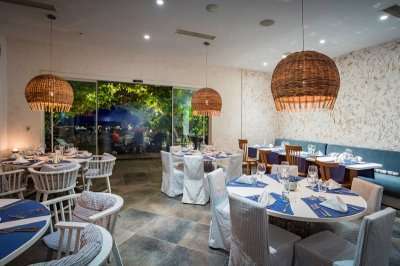 Classic Bulgarian food in an authentic atmosphere is provided to guests in the Geti Restaurant whilst the Belinda Beach Restaurant offers tasty Mediterranean food whilst boasting a striking scenery. 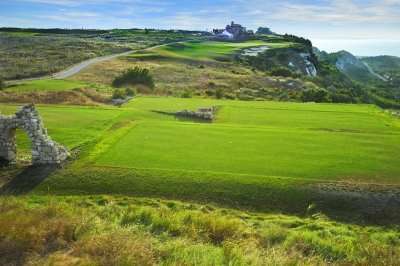 The Thracian Cliffs Resort invites its guests to enjoy a cold beer whilst gazing over the lake and emerald green golf course. 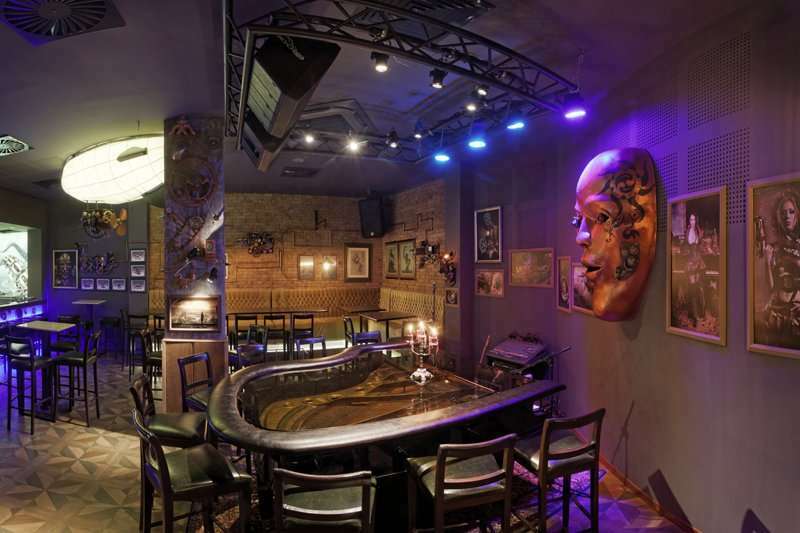 Alternatively, in the evening guests can also visit the Grand Voyage Piano Bar where they can enjoy a night full of dancing with an extensive drinks menu and live music performances.